Delhi Police MTS Result 2018-19 Cut Off Merit List: Board has already published the answer keys to all the question booklets which means the result announcement is not so far. Delhi Police MTS result is expected to release soon. The merit list/ result is going to be published only on the portal of Delhi Police. Candidates who will having their names in the merit list will be shortlisted for next selection round i.e. trade test. In this article, we will upload direct link to DP MTS result 2019 also other important instrtuction. Read below full article. 1.1 How to check Delhi Police MLT Staff Recruitment result 2019? Delhi Police MTS application were invited on December 2017 for 702 posts of Multitasking staff in the department. The exam was scheduled to be held on December 2018 but to due to some reasons the exam extended to January 2019 and this leads to the delay of result. But now as evaluation process has been completed, Department can announce result at any time. Therefore, we advise all the examinees to frequently visit the official portal as well as this page for latest updates related to DP MTS recruitment result. How to check Delhi Police MLT Staff Recruitment result 2019? Visit Delhi Police Official website (http://www.delhipolice.nic.in). Click on the “Recruitment” tab given on the menu bar of the homepage. Click on “Merit list for the post of Multitasking Staff (Civilian) in Delhi Police Exam 2017” link. Check registration No. or name in the list. Download the list for personal record. The result of Delhi Police written exam will be published as merit list PDF. Merit list will indicate the names, registration number and few other details of the candidates in the order of the merit. The merit PDF may also include a brief detail about the next selection process. Delhi Police Multitasking staff result is awaiting but will be out soon. Candidates curiously waiting for the announcement of result are advised to have a little bit more patience. The result will be announced as merit list on the official web portal of Delhi Police on notified dates. No hard card of result will be issued to any candidate. The merit will include the names of the candidates four times more than the number of vacancies in each category of the candidates. The result/ merit list will be final and no representation for revaluation of answer sheets will be permissible. Hence, no request and correspondence in his regard will be accepted. In case two candidates get equal marks, then selection will be made on the basis of date of birth (older candidate will be given preference). If date of birth is also same then the candidate with higher marks will be put higher in merit list and if both DOB and marks are same then merit will be decided on the basis of alphabetical order of the first names of the candidates. Once the merit list will be released, the shortlisted candidates will be selected for appearing in the Trade test. Trade test is the second round of selection process which is qualifying in nature. Candidates only have to qualify this test, there will be no cut-off marks for this round. Details about test date, time, venue, etc. will be communicated to candidates after the release of merit list through the official website. Those who will qualify the trade test will be provisionally selected for medical examination. The final merit list will be prepared on the basis of all the written test, trade test, medical examination, and document verification, etc. All the candidates should secure minimum 40% marks to qualify the written test and to be eligible for the next selection round. Candidates securing less than 40% marks in the test will not eligible for appearing in the trade test. However, Delhi Police has set category-wise cut off marks for different categories of the candidates. Cut-off simply implies the minimum number of marks that a candidate requires to qualify a particular exam. There are various factors on the basis of which cut-off marks for a particular exam are decided. These factors include number of the candidates appeared for test, difficulty level of exam, total marks, marking scheme, total seats, etc. Result will be announced only through the online mode. Candidates can also access their result here in this page without any difficulty. No request for revaluation of answer sheet will be accepted. Merit list will be prepared on the basis of performance of the candidates in the written exam and preference made by them. After the release of result or merit list, the request for change of preference will not entertained under any circumstances. 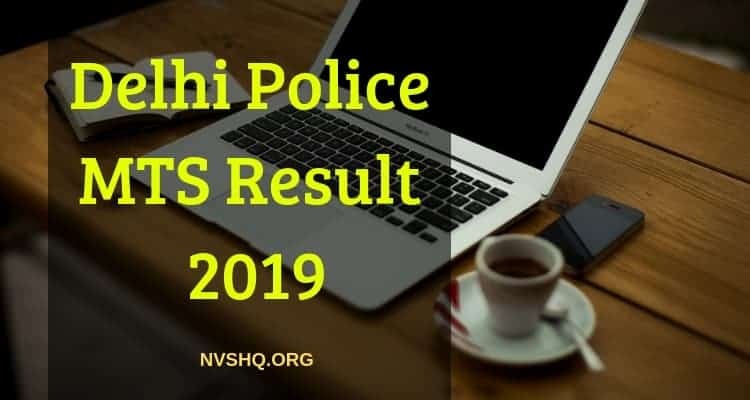 Feel free to ask us your query related to Delhi Police MTS result and merit list 2019. We will try to reply asap.